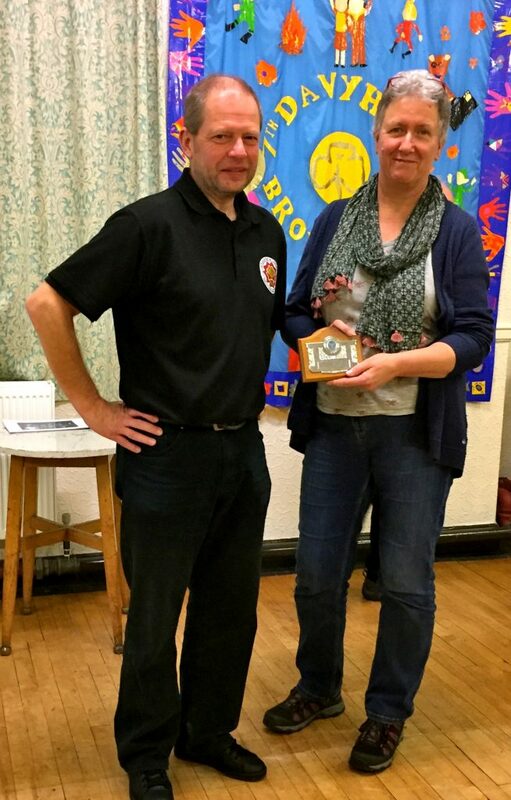 Award presentations by Ove’ Alexander to Sally and …oops, well not Andy this time(sorry Andy), get to stand in front of the world famous banner of the fellow users of our meeting hall: It has become something of a signature to our club as well! 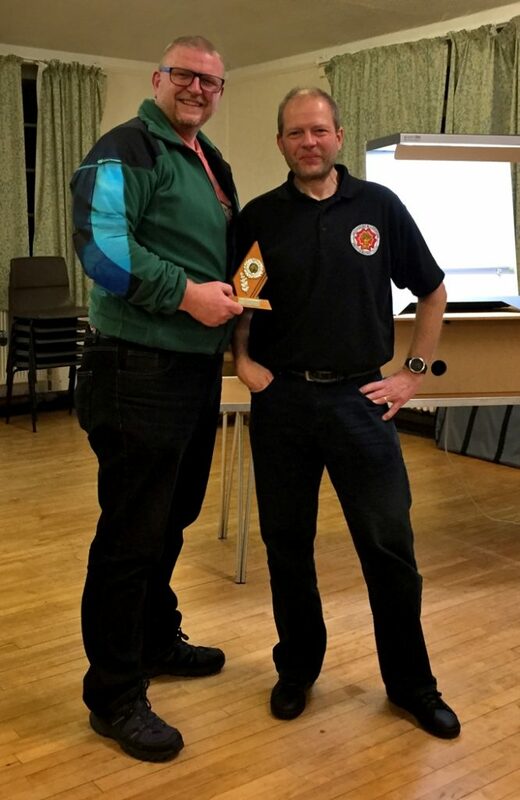 For Andy, winner of DPI section Shield. For Sally, Winner of Print section Shield. ← Round 2 Reg. Comp.